Happy Monday! I hope everyone is having a fabulous day! 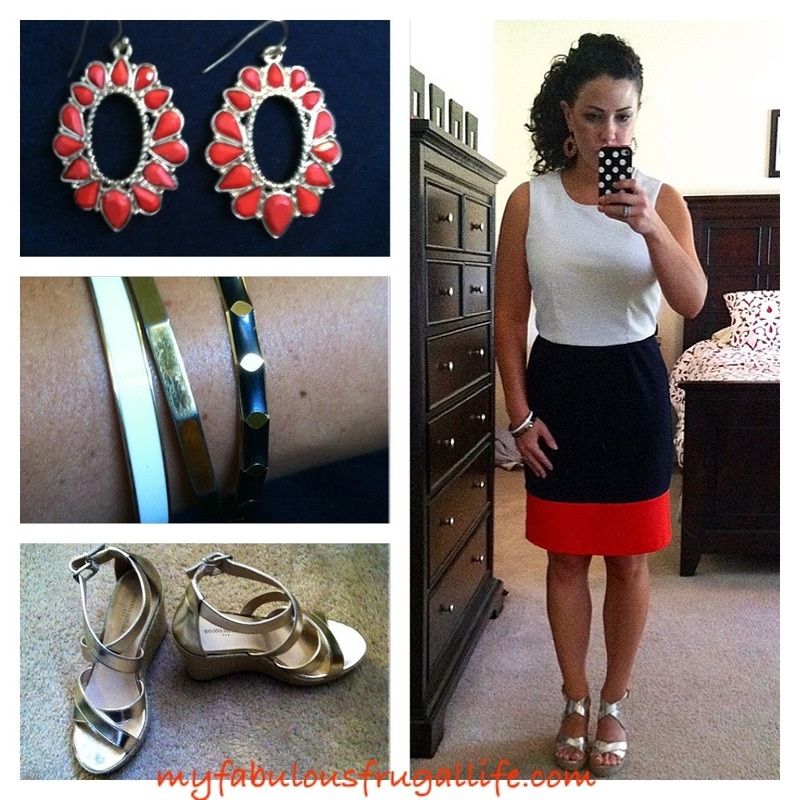 Color Block Dress $16 from Banana Republic Outlet, bought a few months ago. The color blocking combo of white, navy, and red is classic. When I saw this dress on the clearance rack, I knew I had to have it! I can see myself wearing this for years! I will wear it in the fall with a cardigan and pumps. Earrings $3.48 from Target. I like the red and gold combo of these earrings, they add a fun pop of color to any outfit. Bangle Bracelets free from my grandma! Gold Raffia Wedge Sandals from the Banana Republic Outlet. I know I say this almost every time I post about these shoes, but they are so comfortable! oh dear, what a lovely combination – red, black and white. Beautiful! Thank you! They are a classic combo! Not sure why I don’t wear these colors more!